The 2018 ASCLS National meeting has concluded in Chicago and we’re now into our new Association year. As we begin our new year, I would like to once again recognize those individuals across Region VIII who have served you throughout the year as your state President volunteering their time, energy, expertise and dedication to ASCLS. THANK YOU to ASCLS-Montana President Ashlee Ketchum who stepped up to serve again as Montana’s President when circumstances presented this opportunity. Ashlee didn’t give it a second thought and said, You Betcha, I’m happy to serve! She led Montana through a successful year, updating the strategic plan and job descriptions while also serving on the ASCLS Workforce Shortage Position Paper Task Force. She has also served as faculty on the Region VIII Leadership Academy since it opened in 2013. Ashlee is a 2013 graduate of the National Leadership Academy and just complete her Masters of Science degree in Clinical Laboratory Science last year. THANK YOU to ASCLS-Idaho President Mechelle Reeve who has done a wonderful job leading the state while dealing with many life issues outside of work and ASCLS. Mechelle had an active year as President which was evident in her presentations at the successful state meeting in Twin Falls. Mechelle graduated from the Region VIII Leadership Academy in the class of 2017 and serves as a wonderful mentor to new members in Idaho. THANK YOU to ASCLS-Colorado President Ian Wallace who has kept Colorado on the fast track again this year serving as Colorado’s President for the second year in a row due to “life happens circumstances”. When approached about continuing for a second year, Ian said, You Betcha, I’m happy to serve! Ian is never afraid to speak up when issues arise and he continually represents Colorado’s concerns, bringing those concerns forward to the ASCLS Board of Directors. Ian is a 2015 graduate of the National Leadership Academy and served this year on the Workforce Shortage Position Paper Task Force, as well as the Root Cause Task Force and the ASCLS Leadership Academy Committee. THANK YOU to ASCLS-Wyoming President Jill Graff who is completing her second year of her two-year term leading Wyoming and when “life happened” circumstances came up, Jill didn’t give it a second thought and said, You Betcha, I’m happy to continue to serve as President for another year. Jill has done an excellent job guiding Wyoming. I was excited to see so many Wyoming members at the Member meeting at CLCC. I am looking forward to working with Jill again in the coming year and seeing more Wyoming members get involved. THANK YOU to ASCLS-Utah Interim President Omar Munoz who continues to keep the Utah Society afloat. Utah continues to work to find volunteers to fill leadership positions and in fact, has identified new volunteers to help guide the society. Omar, with the help of Bill Zundel and Matt Nicholaou put on an excellent spring meeting celebrating ASCLS-Utah’s 70th anniversary. I would also like to thank those Council members who are going off the Council this year: GAC Chair, J.R. Constance (CO); Treasurer; Debbie Shell (ID); Leadership Academy Co-Coordinator, Susie Zanto (MT); and Student Forum Representative, Samantha Buck (CO). A big THANK YOU to each of you. And to all of you across the region who serve your state societies in the many leadership roles of elected and appointed Officers, Committee Chairs, District Chairs, Task force and committee members, etc., THANK YOU for your dedication, commitment and enthusiasm. Without you and all that you do, ASCLS would not exist. Are you interested in serving in a leadership role at the state, regional or national level? If you would like to get involved, please don’t hesitate to speak up – talk to your state President or contact me and I’d love to talk with you. On the regional level we are looking for a volunteer to serve as our Government Affairs Chair for the coming year as well as a Co-coordinator for the Region VIII Leadership Academy. We will also be electing a new Treasurer for Region VIII. Debbie Shell is completing her term as Treasurer and was prepared to serve a second term when she was tapped by ASCLS President Roslyn McQueen to serve as our national, ASCLS Secretary/Treasurer for 2018-2019. Congratulations Debbie!! Region VIII is rich in history and we can take pride in our continuing stewardship of our Profession and our Professional Organization, ASCLS. We have many volunteers across our Region who keep us strong and we have a long tradition of Leading and Mentoring. Our Region VIII Leadership Academy will open with our 6th class in Jackson just prior to the opening of our renowned regional conference, Intermountain States Seminar (IMSS). This is the 55th IMSS and we have a wonderful group of speakers slated to share the latest and greatest information with you. Registration is now open at the following link: http://asclsregion8.org/IMSS/registration . I encourage everyone to check out the website and follow the link to get registered. Your planning committee headed up by Abbey Wichman, MT, has put together an outstanding conference with an excellent program and a lot of great networking opportunities. Vendors are signing up now to share their information with you. We will also again have a Silent Auction to benefit both the Teton Free Clinic and the Region VIII Leadership Academy. 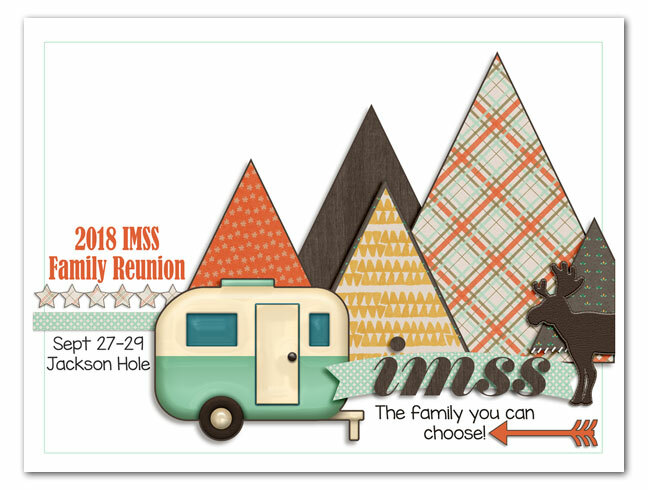 Mark your calendars, get that registration in, and I hope to see all of you in Jackson, September 27-29!